The Ford Fiesta is Ford's newest small family car. Although the Ford Fiesta production model is yet to be formally unveiled at the 2008 Geneva Motor Show in March, Ford said that the Fiesta will take on the look of their Verve Concept car which was previously shown at the North American Auto Show. 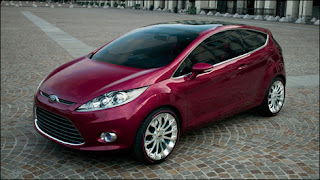 The Ford Fiesta will be the global name of the company's small car. Production for the Ford Fiesta in Europe will start in Fall of this year while it will be launched in Asia and North America between 2008 and 2010.